The county commissioners recently held a meeting of the Fayette County Land Bank Board of Directors. Last week, the land bank board met for its regular monthly meeting. During the meeting commissioner Dan Dean moved to transfer deed pending title search for 406/408 S. Main St. in Washington Court House, which was approved. Additionally, Dean moved to accept the treasurer’s report as presented. The checking account balance was $44,894.01 with all expenses to date having been paid. Reimbursement was also received from Ohio Home Assistance Neighborhood Initiative Program for 753 properties, and an invoice has been submitted in the amount of $4,538.10 for services presented through 2018. This motion also passed unanimously. The next meeting of the Land Bank Board of Directors will be Feb. 11 at 10:30 a.m. in the fourth floor conference room of the county administration building. Also, two resolutions were passed by the commissioners during their meeting. The first authorized Steve Luebbe, Fayette County Engineer, to enter into an agreement with the Ohio Department of Transportation (ODOT) for federal funds for a bridge load rating project for two county bridges. The second authorized Luebbe to accept a fee proposal from Burgess & Niple — in Cincinnati — for professional bridge load rating engineering services at an estimated cost of $3,000. This cost is covered through the federal funds in cooperation with ODOT. Finally, the commissioners approved a farm cash agreement with Ohio State University (tenant) for the lease of approximately 72 tillable acres. This will be known as a part of the “County Farm” adjacent to the Fayette County Airport. The term of this lease will be for a period of five years. Stay with the Record-Herald weekly for more updates from the Fayette County Commissioners. 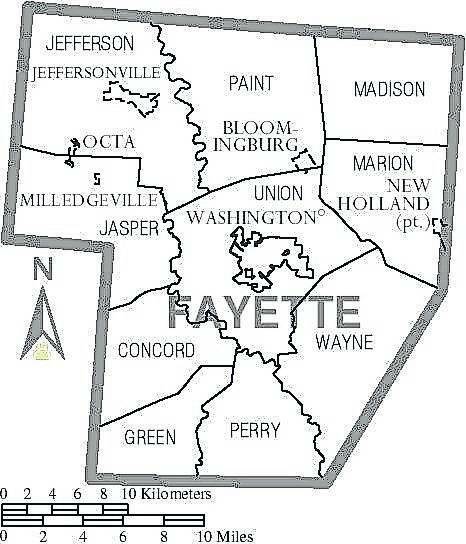 The Fayette County Commissioners’ Office is located at 133 S. Main St., suite 401 in Washington Court House and their office hours are Monday through Friday, 8 a.m. to 4 p.m. They can be reached at (740) 335-0720.